Feb. 8, 2019 GRAND RAPIDS, Mich. — Middle school students can craft the hyperbolic plane, identify minerals and extract a strawberry's DNA during Grand Rapids Community College's free "Fall In Love with STEM" event on Feb. 23. 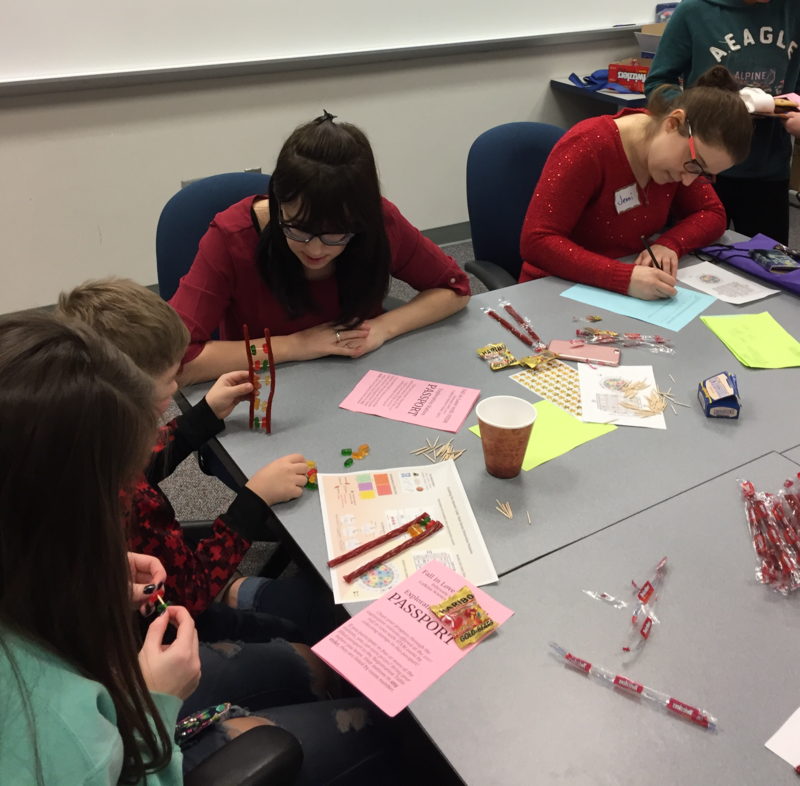 From 1-4 p.m., GRCC faculty and students will lead sixth-, seventh- and eighth-graders in "exploration stations" with activities designed to strengthen science, technology, engineering and math skills. "We want to foster a curiosity about how the world works and show kids a variety of scientist and mathematics role models," said assistant professor Lauren Woolsey, who organized the event. "Our exploration stations will give them an opportunity to demonstrate critical thinking skills and the scientific method through hands-on activities." "Fall In Love with STEM," one of several events organized by the West Michigan chapter of the Association of Women in Science, will be held on the first floor of GRCC's Calkins Science Center, 226 Bostwick Ave. NE. While students can register in advance online, they can also just sign in on the day of the free event. Grand Rapids Community College has been offering educational opportunities in West Michigan for more than 100 years. Established in 1914, the college offers degree courses, certification and training programs, and workshops and personal enrichment classes. Offerings are held on GRCC’s downtown Grand Rapids campus, and at several locations throughout Kent and Ottawa counties, as well as through distance learning.